Lieutenant (later Commander) John Powles Cheyne was without doubt a valiant Arctic officer. As a young midshipman, he accompanied J.C. Ross in his search for the Franklin expedition with Enterprise and Investigator in 1848-49, returning as Mate under Captain Austin aboard that ill-fated ship of destiny, HMS Resolute, and then as Lieutenant under Admiral Belcher aboard the Assistance. He also gained some experience in amateur theatricals, and on his return to London took up the relatively new art of photography, producing a remarkable series of stereoscopic views of the Franklin relics brought back to England by Sir Leopold M'Clintock in 1859. His photographic bug was a lasting one, and so was his interest in Arctic exploration. 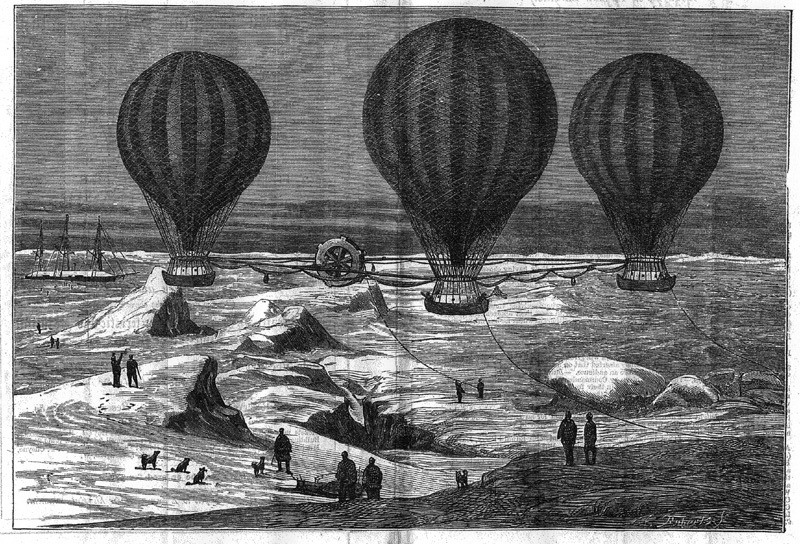 After retiring in 1870 with the rank of Commander, he took up the idea of an expedition to the North Pole using specially-equipped balloons. This was decades before Andrée's similar plan, but the public, having seen balloons in use in earlier (unpiloted) attempts to locate Sir John Franklin, were very receptive to the idea. Unable to secure any official backing, Cheyne turned to the exhibition circuit, appearing with several large series of Magic Lantern slides, projected by means of lime-light onto enormous screens in public meeting halls and lecture rooms. 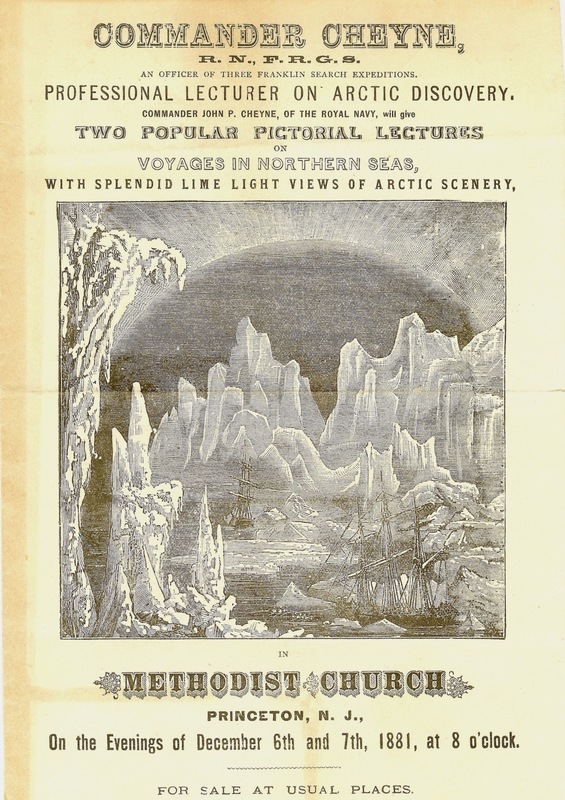 Many of the slides showed scenes in which he had personally taken part, and he became through presenting them the first Arctic explorer in Britain to seek to use his personal experience to lend authenticity to a lantern exhibition (back in the United States, survivors of Kane's second expedition had for some time been associated with such shows in the late 1850's and 1860's). Here you can see a handbill for a show he gave in Princeton, New Jersey. Some years ago, Dr Huw Lewis-Jones and I spent quite a good deal of effort tracing Cheyne and his family through online records. 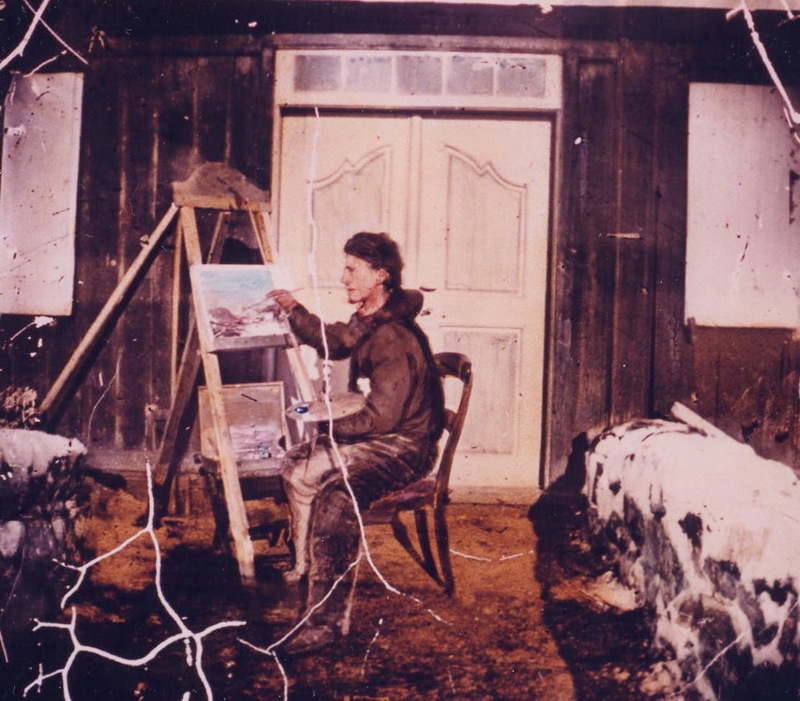 We found that Cheyne himself had eventually retired to Halifax NS, where he died in 1902; he’d left his lantern and slides with his sister, in whose family’s care they still remained — the slide above is from his original set, and depicts the artist — Cheyne himself — at work in his studio. The Arctic interest -- and the family habit of naming children after explorers -- continued in the British branch of the family; after posting a query on a genealogy forum, I was delighted to hear from Elizabeth Cheyne, whose father the Rev. John Franklin Cheyne was a grandson of the explorer-showman! A tidy overview of Cheyne's interesting life - thank you, Russull.